Everything is now tied together with one single account. The new SketchUp Pro 2019 brings with it a host of features. SketchUp has announced a new way to purchase your licenses, a SketchUp subscription, which is available at the best value ever offered! Now it has never been easier to choose the perfect combination of SketchUp for your project, workflow, or creative concept. Layers now have dashed lines - A long requested feature, dashed lines allow you to simplify your drawings with effective drawing communication. Tape Measure tool - The Tape Measure tool was updated so you can now see measurement info right where you’re modelling. LayOut will let you know which files are already open so you’re not creating multiple versions. SketchUp and LayOut have had improvements made to their .dwg import and export feature. Including, but not limited to, support for AutoCAD 2018 file format, increased precision, and stability while minimizing data loss. The ability to import and export with materials for better BIM interoperability and workflows was also added. 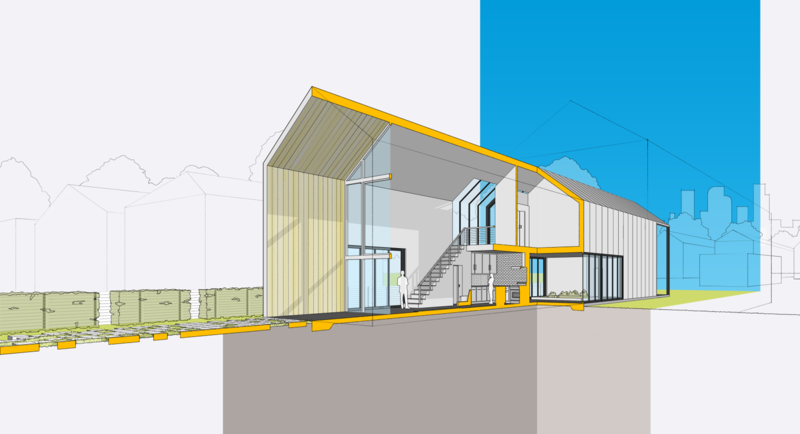 For the full breakdown of what's new visit the SketchUp blog. Click here to purchase SketchUp 2019.